Lalou Bize-Leroy’s 2015s are absolutely stellar. The wines capture all of the natural radiance and intensity of the year, but have also retained quite a bit of vibrancy. Above all else, the 2015s faithfully convey the essence of site. I can only describe tasting through the entire collection of bottled 2015s as a viscerally thrilling experience. “Two thousand-fifteen is clearly a warm, sunny vintage,” Lalou Bize-Leroy explains. “At first, I thought the 2015s might turn out like the 2003s, but over time the wines gained in freshness.” Bize-Leroy describes 2015 as a small crop, although yields were actually average for the estate, at around 16HL per hectare. The wines were bottled in December 2016. Never one to hold back, Bize-Leroy offers her unfiltered, pointed views throughout the tasting. “The differences between Nuits and Vosne (villages) are enormous,” she exclaims, before adding: “this is Burgundy!” The Romanée Saint-Vivant elicits ”she is a magician” while the Clos Vougeot is “a bit severe, like the façade of the château.” But my favorite comment arrives upon seeing my appreciation of the Clos de la Roche. ”You have been tasting too many California wines. You really need to spend more time in Burgundy.” Even after all these years, Mme. Leroy’s passion and total dedication the concepts she holds dear – biodynamics, a steadfast belief in the importance of terroir, and an unrelenting pursuit of quality – remain as strong as I have ever seen. I tasted the wines in this article with Mme. Leroy, her longtime assistant Frédéric Roemer, and her faithful dogs, Sylvain and Nine, during a visit to the domaine in December 2017. In the past, Bize-Leroy has sometimes served an entry-level wine like her Coteaux Bourguignons Rouge to help get the palate and mind warmed up. 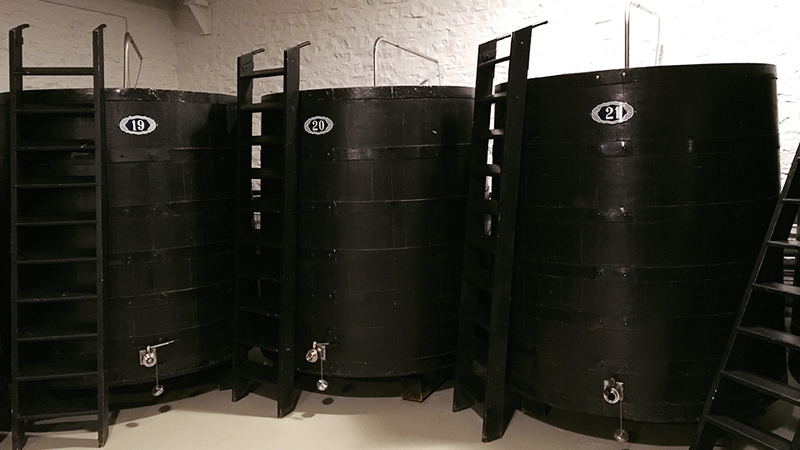 This year, we go straightway to the Pommard Vignots, which is the vinous equivalent of getting in a racecar and going from 0 to 60 in just a few seconds. The 2015 Pommard Les Vignots is outrageously beautiful, not to mention a remarkable wine with which to kick off the tasting. Bold and racy, the 2015 exudes a level of depth and textural richness that is frankly hard to imagine at this level. The Vignots is surprisingly expressive, open and giving today. 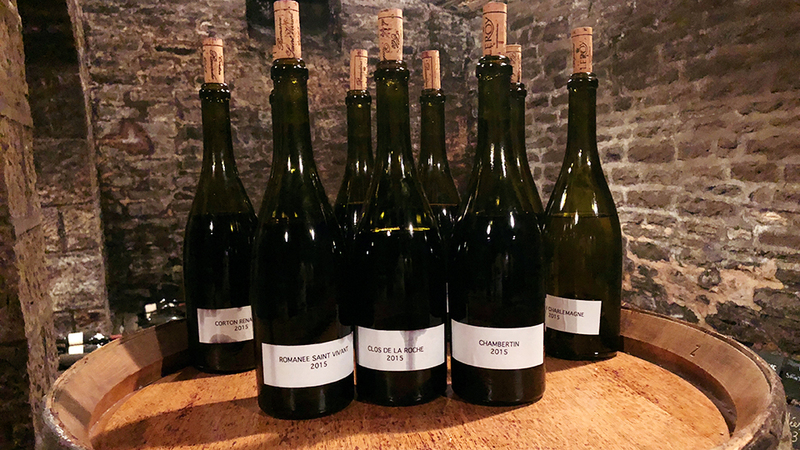 Because of the tiny yields in 2015, Leroy bottled a single Nuits-Saint-Georges that includes fruit from Aux Allots, Aux Lavières and Bas de Combe. There is lovely energy and tension to match the wine’s mid-weight personality. Hints of graphite, smoke, plum, black cherry and earthiness add considerable nuance. The 2015 is an attractive wine, but it is also a bit rustic and closed in on itself, especially next to the other wines in this range. Then again, it is young Nuits. Silky and floral, the 2015 Vosne-Romanée Genaivrières is pure grace. The brightness and purity of the fruit is remarkable. All the class and sheer sophistication that is such a signature of Vosne comes through loud and clear. Leroy’s 2015 Chambolle-Musigny Les Fremières is a wine of pure and total sensuality. Soaring in its aromatic intensity, with bright red berry fruit and the silkiest of tannins, the Fremières embodies all the qualities that make the wines of Chambolle-Musigny so alluring. The Fremières really shines. In this flight of village level wines, the Fremières has a little more of everything. The 2015 Volnay Santenots du Milieu is without question the most unexpressive wine in this entire tasting. Specifically, I find the aromatics a bit dispersive and not yet integrated with the rest of the wine. Even so, there is tremendous depth and concentration in the glass. Hints of smoke, leather, tobacco and intense dark fruit make an appearance from time to time, but the Santenots is never truly expressive, nor does it offer the seductiveness that is so typical of this year, at least not today. One of the many highlights in this flight of 1er Crus, the 2015 Savigny-lès-Beaune Les Narbantons is outrageously beautiful. From the very first taste, the Narbantons is lush, exotically ripe and silky. Time in the glass just brings out the wine’s sensual allure even further. The warmth of the vintage seems to have added an extra level of sweetness and softness to the tannins that make the Narbatons so seductive, even at this very early stage. The Narbantons has no beginning and no end, it just exists in a total sense of seamlessness and completeness that is frankly hard to capture with just words. What a gorgeous and utterly beguiling wine it is. The two Nuits-Saint-Georges 1er Crus are fascinating to taste side-by-side. The 2015 Aux Vignerondes is gracious and light on its feet, especially within the context of Nuits. There is quite a bit of power, too, but it is expressed in more of a linear style. Mineral, earth, smoke and cured meat overtones add myriad shades of nuance. Aromatically precise and beautifully delineated, the Vignerondes is another captivating wine in this remarkable range of 1er Crus from Lalou Bize-Leroy. Tasted next to the Vignerondes, the 2015 Nuits Saint-Georges Les Boudots is quite a bit fleshier. Silky tannins and soft, racy curves give the Boudots much of its distinctive personality. This is a decidedly sumptuous style of Nuits. Although it is naturally an infant, today the Boudots is absolutely stellar. I loved it. The 2015 Vosne-Romanée Aux Brulées is a sort of continuation of the theme first introduced in this tasting with the Genaivrières. There is a sense of translucent purity to the Brulées that is hard to fully capture with words. Power and finesse come together in an effortless, striking Vosne endowed with captivating beauty. The sweet red cherry and plum profile gives the Brulées distinct brightness that I find incredibly appealing. A much darker and more virile side of Vosne emerges from the 2015 Les Beaux Monts. Explosive and ample in textural feel, the Beaux Monts is a wine of real breadth. Smoke, leather and earthy notes complement the dark-tone fruit nicely in conveying an impression of authority. One of the most captivating wines of the morning, the 2015 Chambolle-Musigny Les Charmes is just stratospheric. I could try to describe the Charmes in all of its various elements, but the wine is so much more than that. In 2015, the Charmes is magnificently complete. I hardly know where to start. Is it the sensual aromatics that are most appealing? Or maybe it is the incredible detail and nuance that runs through the wine? Maybe it is the total finesse the Charmes shows on the palate. Well, it is all that, and so much more. The Charmes just has it all. The 2015 Gevrey-Chambertin Aux Combottes is every bit as compelling as the Charmes. Here, the wine has a very distinct vertical feel, with multiple layers of aromas, flavors and textures that are stacked on top of each other. Black cherry, gravel, smoke and lavender give the Combottes its super-classic signatures. As alluring as it is today, the Combottes is a big wine that needs quite a bit of time in barrel to be at its very best. I can only describe tasting through a complete flight of the bottled Leroy Grand Crus as one of the great wine experiences in the world. As is always the case, the Corton-Renardes is up first. A huge, explosive wine, the 2015 exudes strength, power and muscle. Swaths of tannin wrap around a core of black fruit. Hints of smoke, iron and incense add layers of nuance and overall complexity. Even so, the natural rusticity of Corton-Renardes comes through loud and clear. 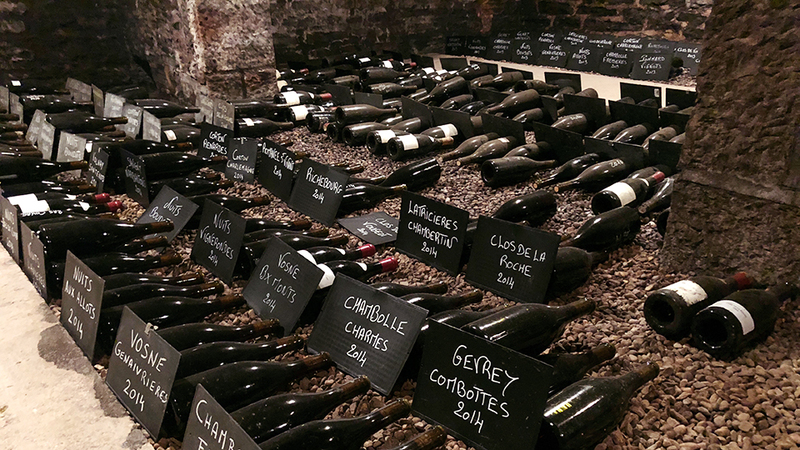 The 2015 Romanée Saint-Vivant could not possible be more different than the Corton-Renardes. Seamless and totally polished, with exquisite aromatics and fabulous overall presence, the Romanée Saint-Vivant simply has it all. One of the things I admire most about the 2015 is the very distinct feeling of concentration with no excess weight. All it takes is a little bit of time in the glass for the 2015 to start fleshing out. When I returned to the Romanée Saint-Vivant after the Richebourg I found it even more captivating. What a wine! Usually, much more of a brute, in 2015 the Leroy Richebourg is a wine of total and exquisite finesse. The flavors are bright, precise and beautifully lifted by the wine’s tannic spine. The 2015 is an especially sensual, rapturous Richebourg that will leave readers weak at the knees. Above all else, the 2015 is incredibly polished and harmonious for such a young Richebourg. The 2015 Clos de Vougeot is impressive for many reasons, not the least of which is how well it shows in this range of totally sublime wines. Dark, sumptuous and powerful, the 2015 is endowed with tremendous energy. Leather, cloves, smoke, graphite and cured meats reinforce an impression of gravitas. The 2015 Musigny is another breathtaking Burgundy, and there are still another three reds to go in this flight! Radiant and super-concentrated, the Musigny is nevertheless extremely faithful to its origins. Readers will have to be patient, though, as the 2015 is going to need many years in bottle before it starts drinking at its best. Readers should expect a dark, resonant Musigny of exotic and totally thrilling beauty. The 2015 needs time to shed some baby fat and open up, especially in its aromatics, but it is sheer magic, even at this early stage. There are so many captivating wines in this tasting, but the 2015 Clos de la Roche seems to just have a little something extra. Ethereal, delicate and nuanced, especially in this context of much richer wines, the Clos de la Roche makes its case more with persistence and nuance rather than pure power. The bright red stone fruit, mineral and floral notes are all sketched with crystalline precision in a hauntingly beautiful Burgundy that hits all the right notes. I can only hope I will have a chance to taste the 2015 when it has had a few years (or more) in bottle. I often feel the Latricières-Chambertin gets a bit lost in this range, but it shouldn’t. as it is often truly subtle, as it is once again in 2015. Sage, lavender, spice, menthol and black cherry all give the Latricières its distinctly savory, intensely aromatic profile. Like the Clos de la Roche, the Latricières is a Burgundy that emphasizes nuance, delineation and precision over sheer fruit intensity alone. A striking yet understated wine, the Latricières is also the least obvious of the Grand Crus. It speaks in hushed, soft tones, but there is a lot to discover for readers who are willing to listen. The 2015 Chambertin rounds out this flight of Grand Crus in stunning style. In the glass, the Chambertin is not the most obvious or overt wine, but it nevertheless carries itself with a regal bearing. Deceptive in its mid-weight structure, the 2015 offers plenty of depth and richness, yet also stays light on its feet. A rush of black cherry, plum, licorice, smoke and crushed flowers laces the extraordinarily beautiful, vivid finish. In a word: sublime. 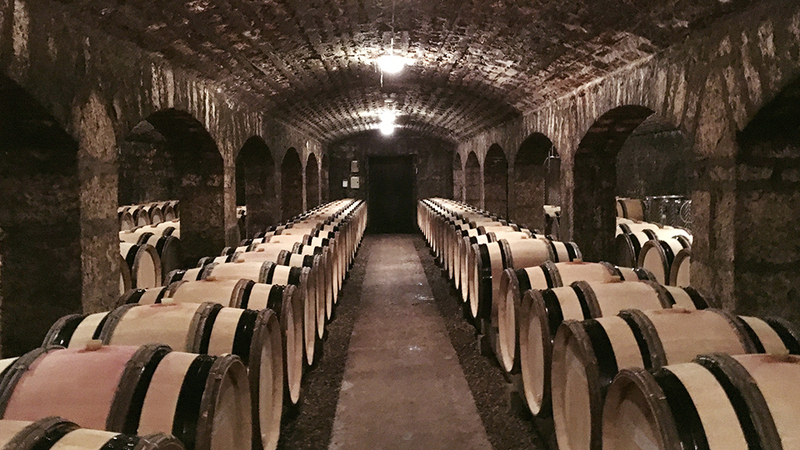 The 2015 Corton-Charlemagne, is like all of Lalou Bize-Leroy’s whites, a very serious wine that needs both cellaring and considerable aeration. Powerful, phenolic and bright, the 2015 is going to need at least a few years in barrel and a good bit of oxygenation when it is opened to allow some of the signature reduction to blow off. Citrus, lemon oil, white flowers and crushed rocks abound. The heat of the year has softened some of the wine’s youthful edge, but without marking it excessively. I have to say, it is always a bit sad when this tasting ends, as Lalou Bize-Leroy’s wines remain truly singular expressions of place. Readers who have a chance to taste these wines should not hesitate, as they are truly magnificent.